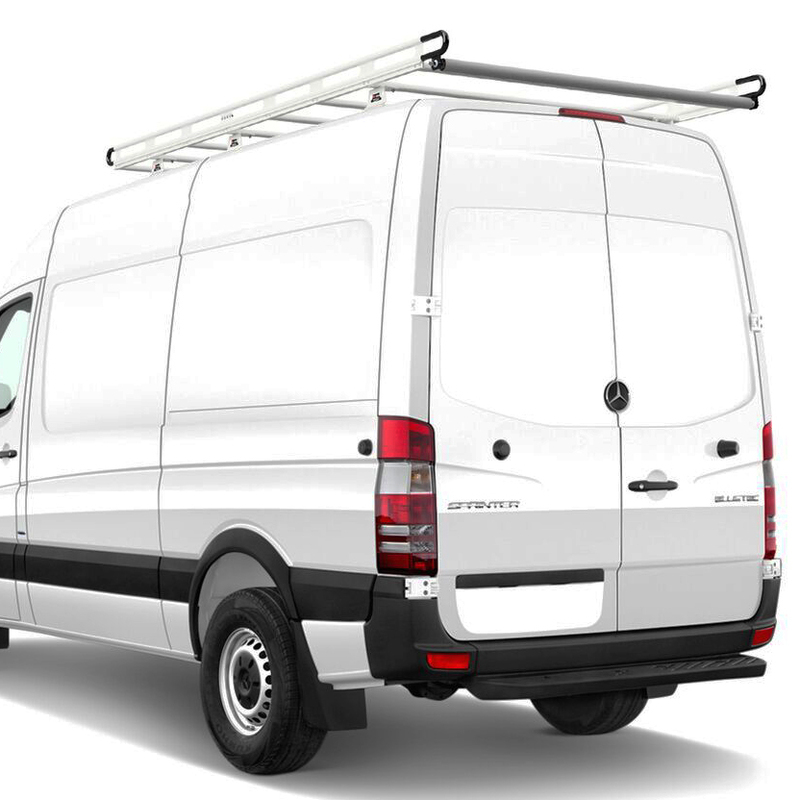 The Vantech H2 Aluminum 144" Long 65" Wide Cargo Ladder Rack for 2007+ Sprinter Vans with Tracks is a direct bolt-on system that utilizes the installed factory tracks. 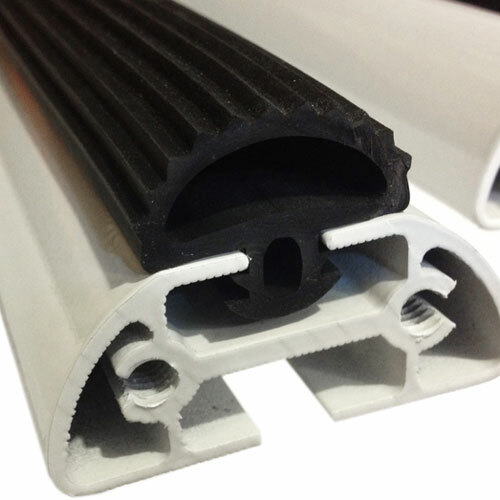 This is a no drilling installation, however, factory tracks are required. 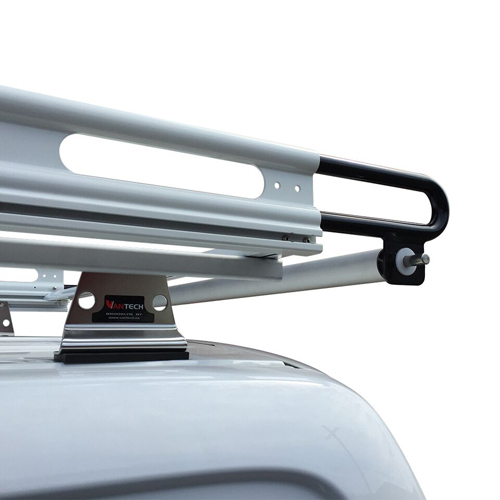 The entire H2 Aluminum Cargo Ladder Rack System is aerodynamically designed to deliver a quiet, fuel-efficient ride, with an overall height clearance of 9.75". The side rails are 144" long and provide superior stability, with low-profile 5.5" tall sides and multiple tiedown points for securing your load. 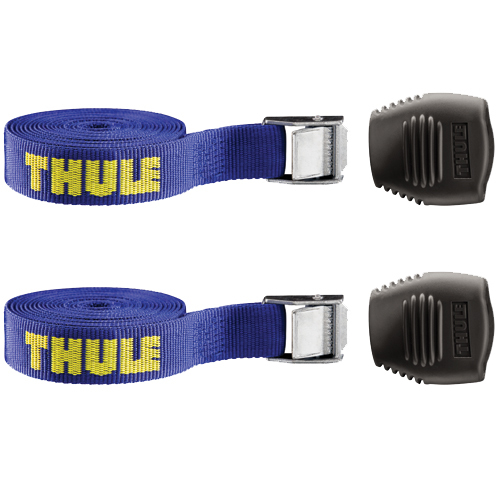 The side rails also feature front and rear rubberized "U" handles to reduce wind noise while providing convenient hand holds. 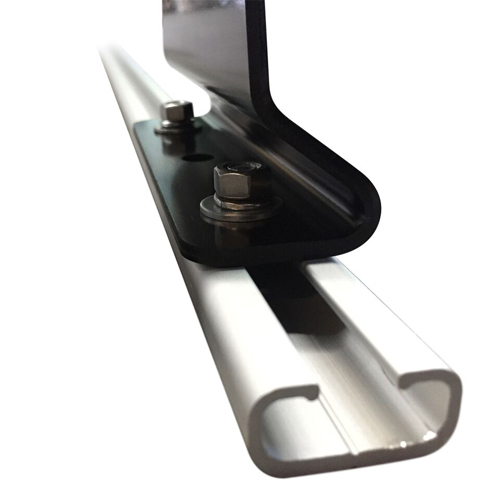 Full length channels at the base of the rails allow for easy mounting of accessories. 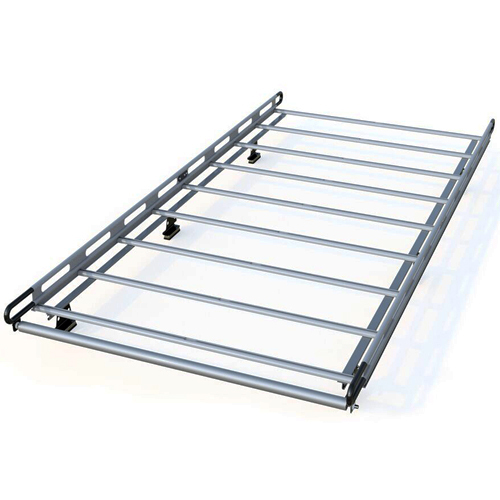 The 65" wide aluminum cross bars are 2.25" x 1" reinforced aluminum with top channel for compatibility with a wide range of accessories. 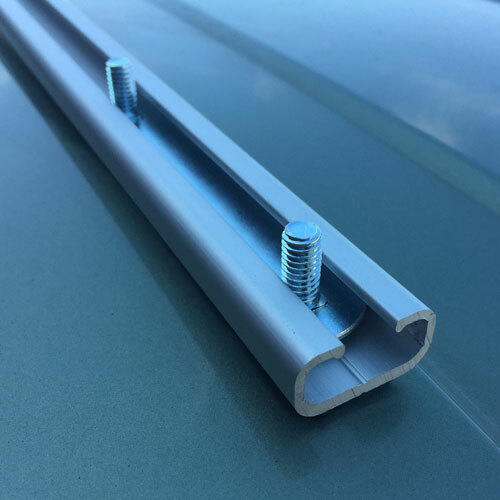 Rubber bar guards that press into the top channel are available to protect the top of the bars (sold separately - see below). 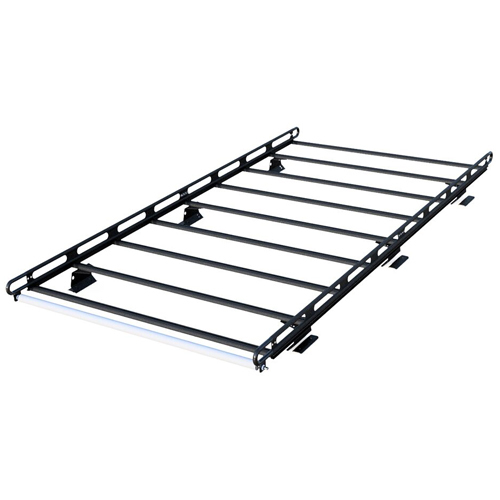 The H2 system includes 6 mounting uprights with 8" extra wide bases for improved weight distribution. 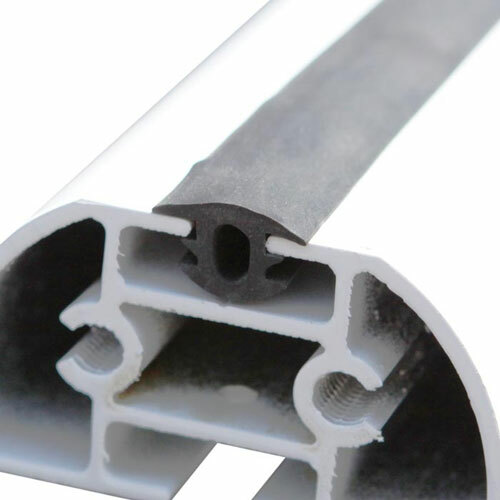 The 4.25" tall upright bases are constructed with 3mm thick aluminum. 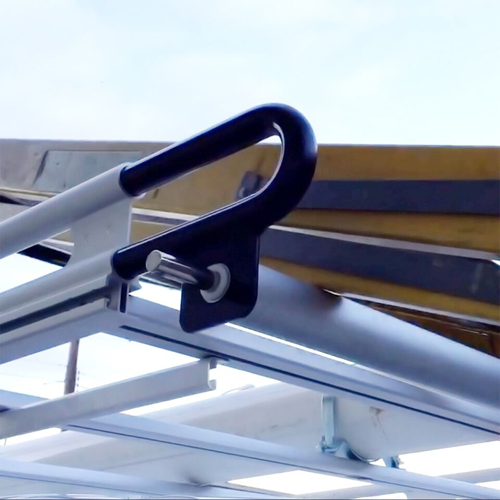 The uprights are secured to the roof-mounted tracks with included sliders (no drilling is required). 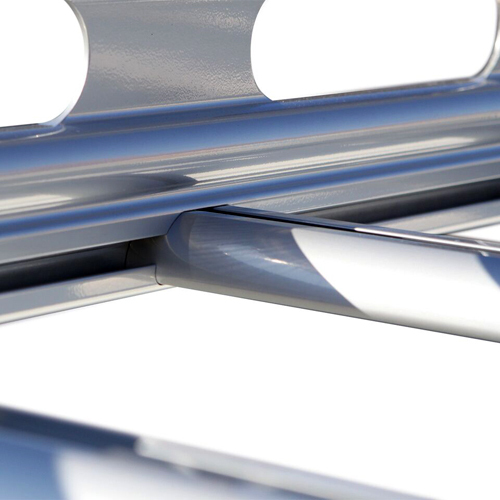 All hardware is stainless steel. 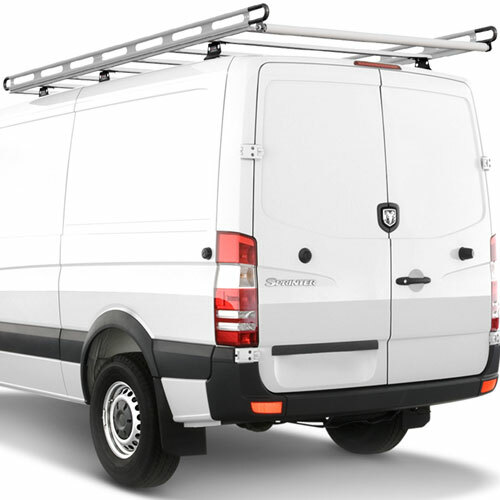 The H2 system is made to fit standard length (144" wheelbase) Sprinter Vans with tracks from 2007+. 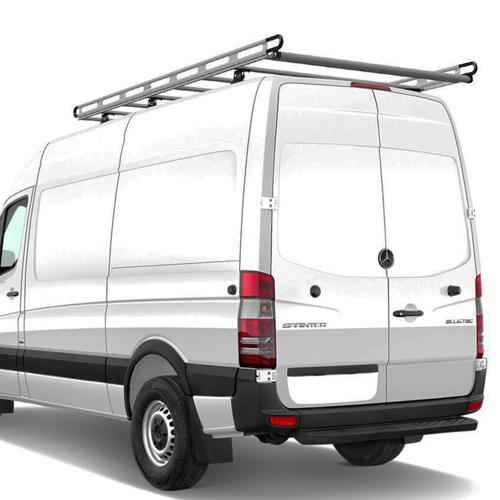 Maximum load capacity varies according to your vehicle weight capacity rating. Please select your color choice from the drop-down menu.